Among the Sierra Madre Mountains and overlooking Banderas Bay, Casa Kimberly is the former hideaway of Elizabeth Taylor and Richard Burton. 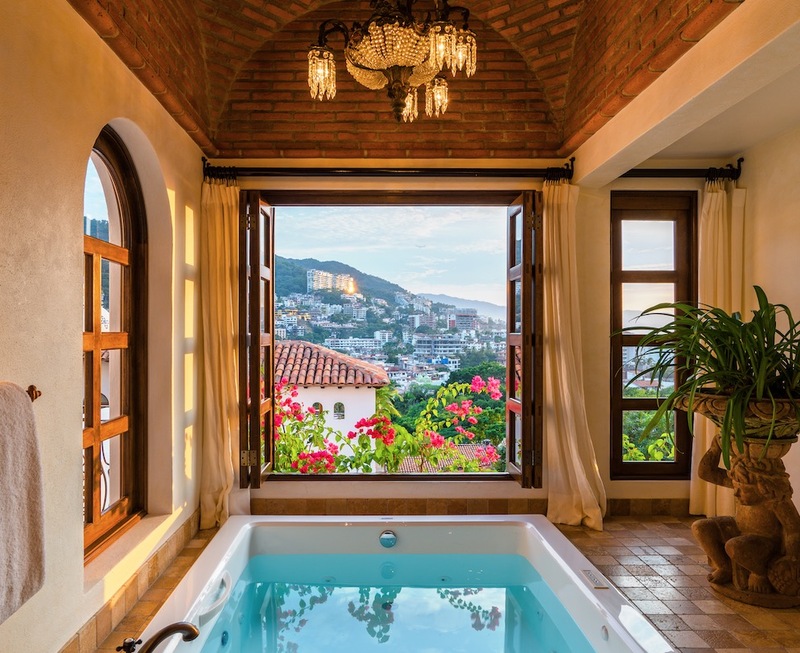 Located in Puerto Vallarta’s Romantic Zone, the glamorous stay has been renovated and reimagined by Janice Chatterton, proprietor of nearby Hacienda San Angel and is now complete with nine suites, a pool, boutique spa, restaurant and a bar. Suites are adorned with features like claw-foot tubs, patio fountains, brick domes and even hand-painted tile ceilings. Fun Fact: Guests can choose to stay in Elizabeth Taylor’s former bedroom, decked out in pink marble and a heart-shaped bathtub. 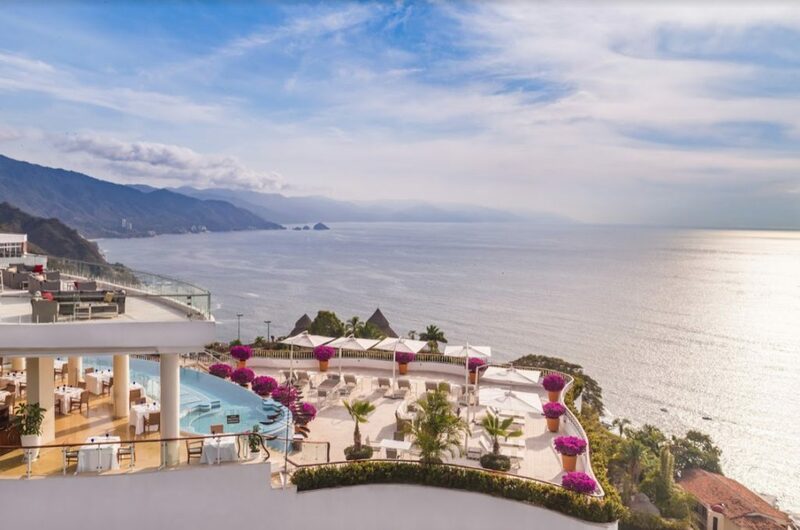 Sky high views abound at this Puerto Vallarta retreat. Located in the exclusive Conchas Chinas community at the highest point in town, this resort boasts an unbeatable setting above Banderas Bay. 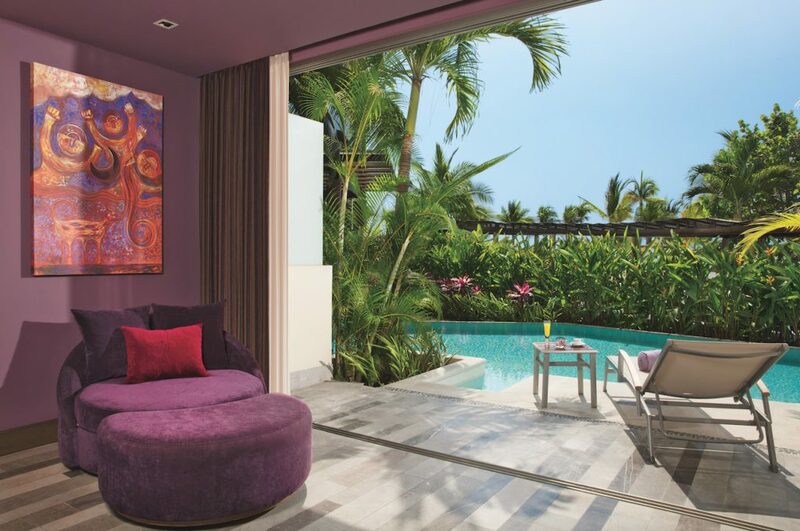 A mix of suites and residences feature ocean views and contemporary decor. For the best 360-degree sights, sip cocktails at The Gin Joint, a rooftop escape perched above one of the resort’s four pools. A world class spa, three restaurants, gym and more round out the amenities. 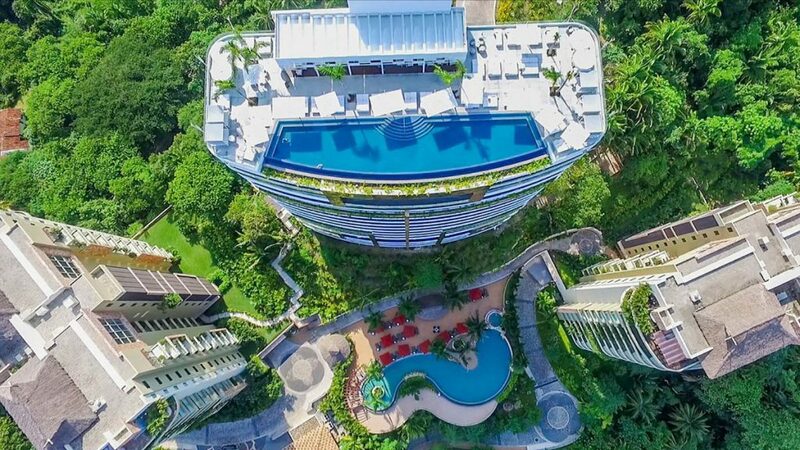 A three-tiered infinity-edge pool is the focal point of this beachfront resort where guests can book spacious ocean-view suites with some even featuring private plunge pools. For the ultimate health-focused getaway, book one of the resort’s two-story Wellness Suites or indulge at one of the gourmet restaurants including the Italian outlet Lucca, which recently completed a $750,000 renovation. Additional offerings not to miss include a do-it-yourself insuite taco bar; an exclusive Tequila experience, complete with a private plane and tour; vegan and gluten-free tasting menus; sand sculpture classes; Instagram photo tours; facial yoga; margarita pedicures; and more. 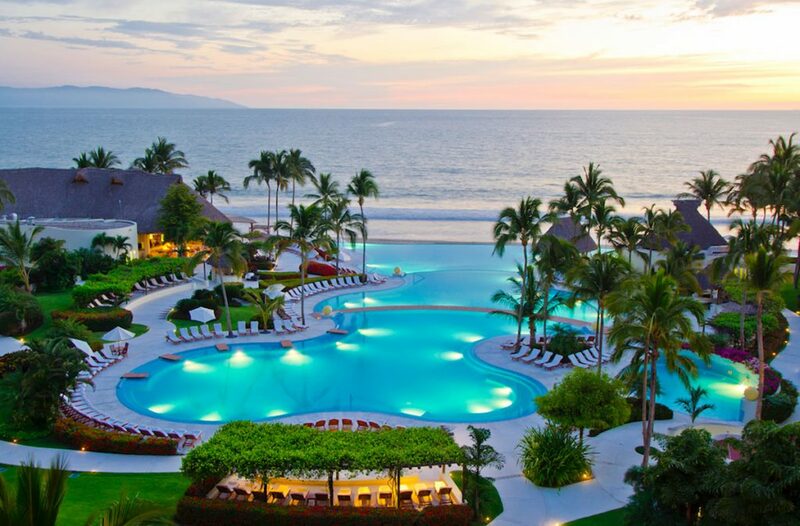 This all-suite adults-only resort is just 15 minutes from the airport and just minutes from downtown Puerto Vallarta. Nearly all suites here have ocean views and guests not only have access to the gourmet restaurants and bars on site, but they can also access the bars and restaurants at neighboring Now Amber resort. Endless daytime activities, nightly entertainment, themed parties and more are all included in the resort’s Unlimited-Luxury experience. Additional perks include access to the neighboring Now Amber pool and complimentary green fees at Vista Vallarta Club de Golf and Marina Vallarta Golf Club. Located beachfront, this resort is perfect for any type of getaway. A kids club keeps youngsters busy while a fully equipped gym and spa help to recharge and relax. 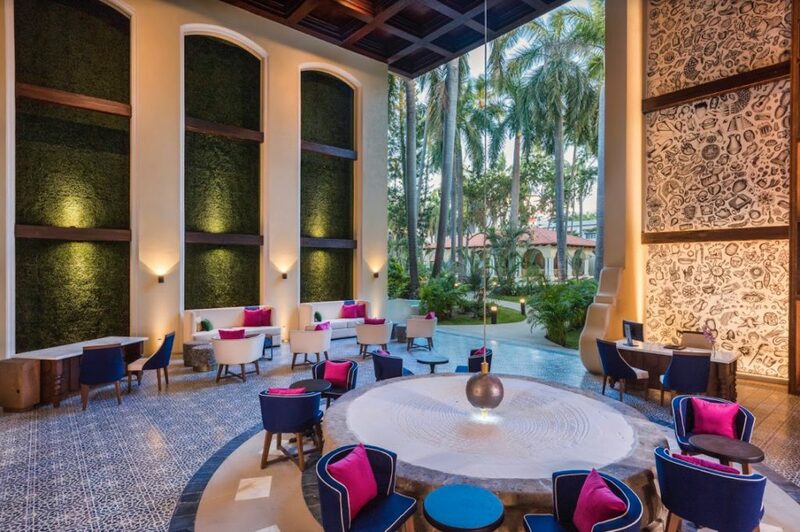 The Hacienda, the resort’s most recent addition, is an adults-only area with junior suites (including swim-out suites), two swimming pools, multiple restaurants, a sky bar and more. The area is decorated with bright, tropical decor and offer the perfect way to escape sans kiddos.